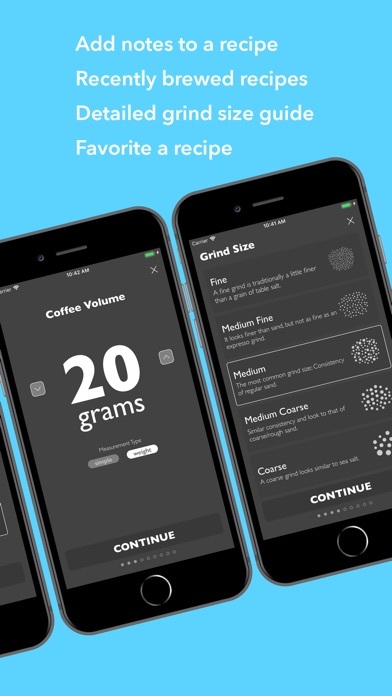 Over 20,000 people are already drinking better coffee than you! 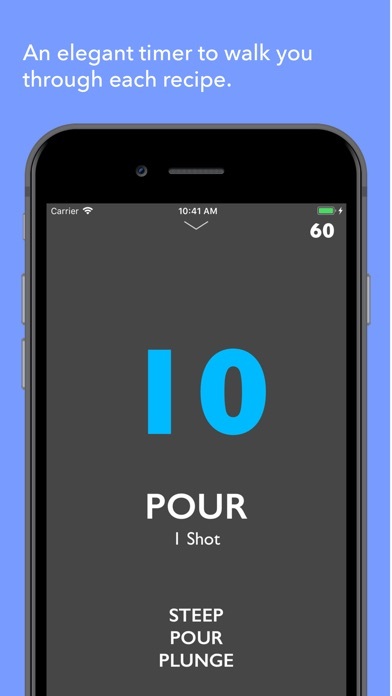 Don't wait another moment, dust off that AeroPress and get to brewing with AeroPress Timer. 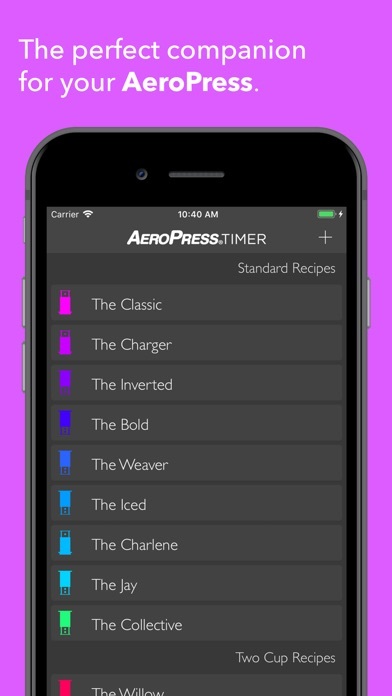 AeroPress Timer is the perfect companion for the AeroPress and allows you to explore the versatility of the AeroPress with a catalog of carefully curated recipes. 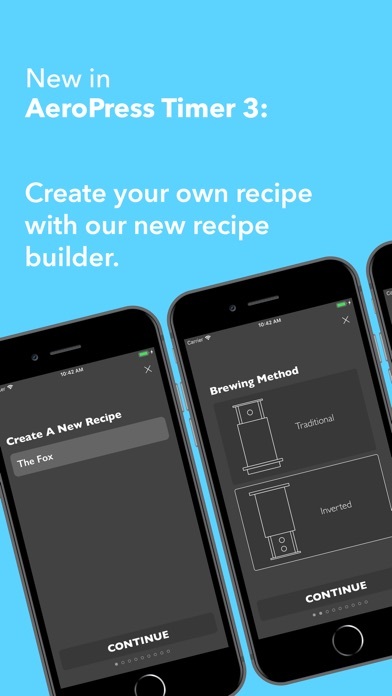 AeroPress Timer walks you through each recipe step-by-step to create the perfect cup. 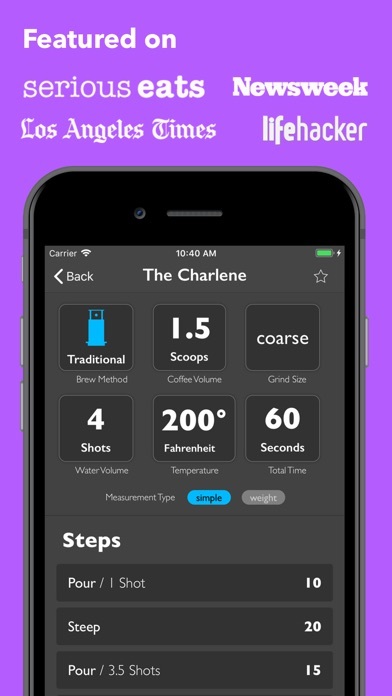 There's no excuse for drinking bad coffee. 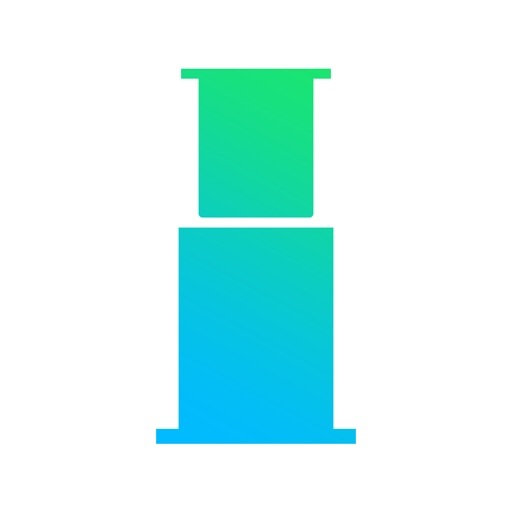 AeroPress is a registered trademark of Aerobie, Inc., Palo Alto, California, USA.